Finding the perfect place to stay in San Francisco can be difficult if you don’t know where to look. This vibrant city is filled with diverse neighborhoods that offer each visitor a wonderful and authentic San Francisco experience. 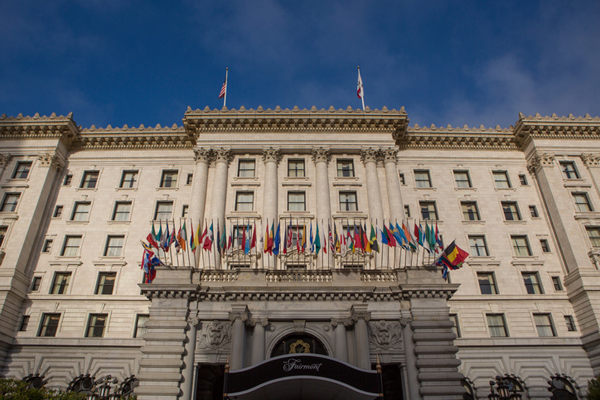 The hotels in San Francisco are a popular choice among visitors and residents, providing comfort, luxury, and a glimpse into each unique neighborhood. If you’re looking for trendy restaurants, fascinating historical sites, numerous art galleries, and all-around good weather, Mission District is your best bet. Known for being one of the oldest neighborhoods in San Francisco, Mission District will bring you a history and art-filled stay. Louis Vuitton. The majority of the hotels in San Francisco are located here as well. It’s also very easy to hop from one place to another in Union Square because the neighborhood is a transportation hub. Also known as SoMa, this San Francisco neighborhood is known for being a culinary destination. Each restaurant is guaranteed to serve you delicious, high-quality meals along with an unforgettable dining experience. South of Market also houses the Yerba Buena Gardens, the AT&T Park, and the San Francisco Museum of Modern Art. A popular tourist destination, Fisherman’s Wharf is filled with seafood restaurants, souvenir shops, and boat charters. You can also check out the historic F Line streetcar and historic ships in this world-famous location. Many California railroad tycoons in the 1800s built their opulent mansions in Nob Hill, becoming the neighborhood’s historic and iconic image. Its elevated location also provides residents and guests with an incredible view of the city and San Francisco Bay. Known for being one of the first few LGBTQ neighborhoods in the United States, Castro is vibrant, colorful, and fun. It also houses a number of eclectic restaurants and shops. If you’re fascinated with the counterculture of the 1960s and the hippie movement, Haight-Ashbury is the perfect place for you. The neighborhood is filled with Victorian houses, vintage stores, thrift shops, and one-of-a-kind restaurants. No one knows San Francisco better than Bernie and Mike Homes. With over 20 years of experience in the San Francisco real estate industry, these top-producing real estate agents can help you find the San Francisco home of your dreams. Get in touch with them today at 415 906 6000 or 415 308 4281.